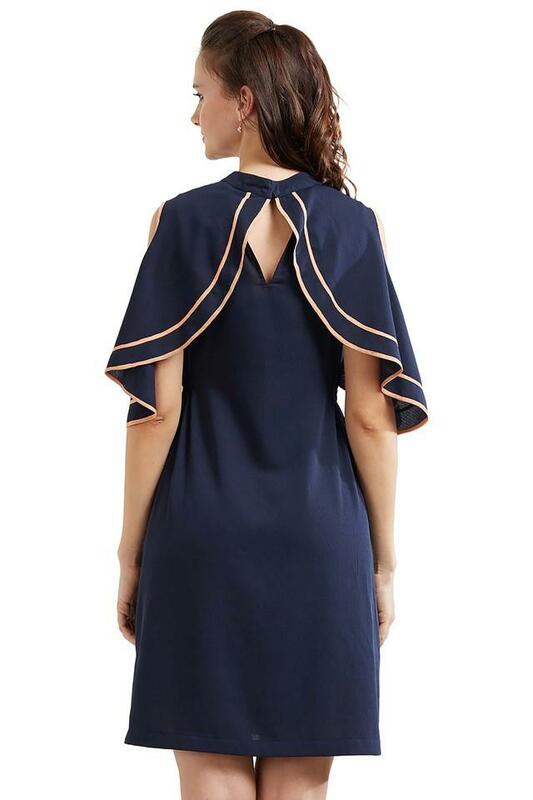 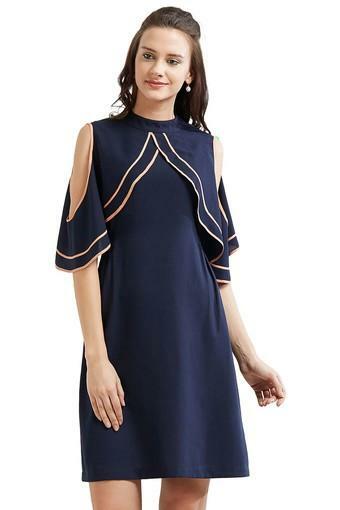 Show off your personal style with this shift dress from Soie. Made from good quality fabric, it will provide you with immense comfort throughout the day. 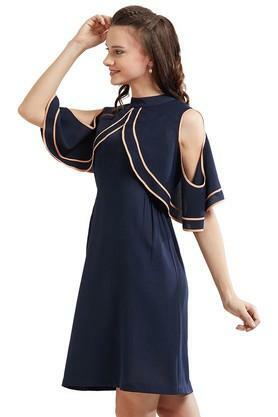 Featuring a beautiful high neck, cold shoulder sleeves and solid pattern, this dress possesses a fashionable magnetism. Enhance your stylish look by wearing this shift dress. Style this dress with a pair of wedges for a classy modish look.